Rewards - New and Improved! 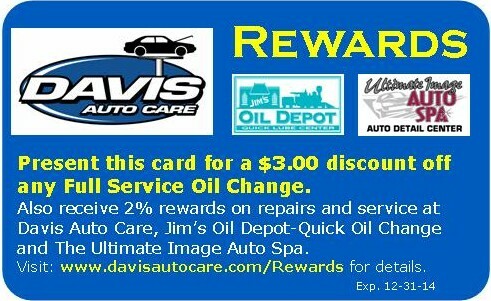 Get 2% back in Rewards on most purchases* at Davis Auto Care, Jim's Oil Depot and The Ultimate Image Auto Spa. 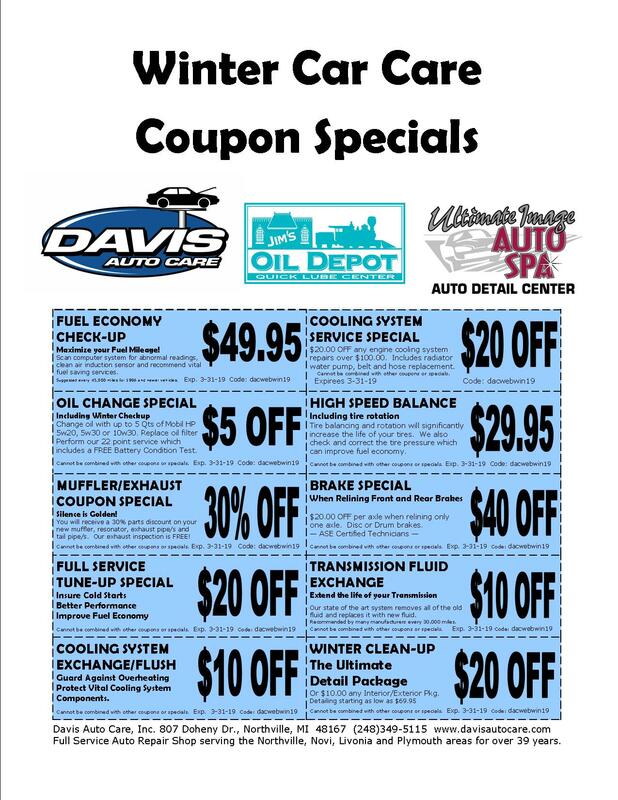 Also receive $3.00 OFF any Full Service Oil Change at Jim's Oil Depot. Simply show your rewards card at time of write-up and our computer system will take care of the rest. Valid Email address required to activate account. Rewards are calculated on a quarterly basis and issued in whole dollar amounts. Rewards are valid and available for one (1) year from date of issue to be used toward purchases at Davis Auto Care, Jim's Oil Depot and The Ultimate Image Auto Spa. Start earning your rewards today!